I forgive myself for accepting and allowing myself to fear and be afraid of bugs. I forgive myself for accepting and allowing myself to fear that bugs will hurt me and make me sick/infected. I forgive myself for accepting and allowing myself to define bugs as ugly/gross/scary/disgusting and horrifying. I forgive myself for accepting and allowing myself to think/believe/perceive/define hairy bugs as gross/disgusting/ugly. I forgive myself for accepting and allowing myself to think/believe/perceive that dead bugs are gross and disgusting. I forgive myself for accepting and allowing myself to fear spiders. I forgive myself for accepting and allowing myself to fear that a spider would bite me. I forgive myself for accepting and allowing myself to be afraid of spider's venom. I forgive myself for accepting and allowing myself to define/see/perceive spider's as ugly/disgusting/horrifying. I forgive myself for accepting and allowing myself to define/see/perceive spider's mouth, eyes, legs and hairs as ugly/disgusting/horrifying. I forgive myself for accepting and allowing myself to think/believe/perceive/define multiple spider eyes as scary/ugly and disgusting. I forgive myself for accepting and allowing myself to fear that a spider will crawl into my mouth, nose or other body openings. I forgive myself for accepting and allowing myself to be afraid to touch a spider and have it on my skin/body. I forgive myself for accepting and allowing myself to think/believe/perceive that spiders are aggressive and will bite me and hurt me. I forgive myself for accepting and allowing myself to imagine spider biting me when I have it on my skin/body. I forgive myself for accepting and allowing myself to think/believe/perceive that spiders are dirty/infected and that I will get dirty/infected as well if I touch them and in this I forgive myself for accepting and allowing myself to think/believe that I have to clean myself if a spider was touching my skin. I forgive myself for accepting and allowing myself to think/believe/perceive that dead spider are gross and disgusting. I forgive myself for accepting and allowing myself to go into an urge to get a spider off of me as quickly as possible when I see him on my skin/body. When and as I see myself going into a fear reaction when I see a spider on my skin/body - I stop and breathe. I realize I am perpetuating an irrational fear reaction and so I stop. I commit myself to stop all reactions to spiders and not react when I see a spider on my skin/body. I forgive myself for accepting and allowing myself to react with fear and disgust when I have a spider on my skin/body. when and as I see myself reacting with fear/disgust when I have a spider on my skin/body - I stop and breathe. I realize that I am creating all these fears/judgments about spiders myself for no reason but to be enslaved/limited to my own energy experience of the mind and so I stop. I commit myself to stop all fears/judgments/reactions to spiders and be here in the breath and one and equal with them. I forgive myself for accepting and allowing myself to fear and be afraid of grasshoppers. I forgive myself for accepting and allowing myself to fear that a grasshopper will bite me and hurt me. I forgive myself for accepting and allowing myself to define/see/perceive a grasshoppers eyes, mouth, head, legs and body as gross/disgusting/ugly and terrifying. 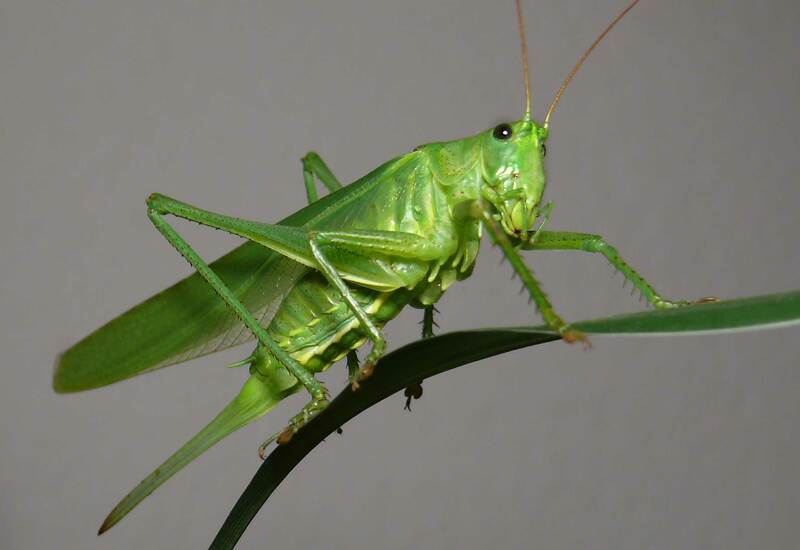 I forgive myself for accepting and allowing myself to imagine a grasshopper biting me when I see one. I forgive myself for accepting and allowing myself to go into an urge to get a grasshopper off of me as quickly as possible when I see him on my skin/body. When and as I see myself going into a fear reaction when I see a grasshopper on my skin/body - I stop and breathe. I realize I am perpetuating an irrational fear reaction and so I stop. I commit myself to stop all reactions to grasshoppers and not react when I see a grasshopper on my skin/body. I forgive myself for accepting and allowing myself to react with fear and disgust when I have a grasshopper on my skin/body. when and as I see myself reacting with fear/disgust when I have a grasshopper on my skin/body - I stop and breathe. I realize that I am creating all these fears/judgments about grasshoppers myself for no reason but to be enslaved/limited to my own energy experience of the mind and so I stop. I commit myself to stop all fears/judgments/reactions to grasshoppers and be here in the breath and one and equal with them.